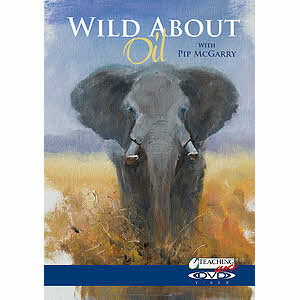 Pip McGarry is internationally recognized as one of Europe’s leading wildlife artists. He is the ‘Artist-in-Residence’ at Marwell Zoo and Chairman of the Marwell Art Society. Having travelled extensively abroad to study wildlife, Pip has used these experiences to create the most wonderful paintings. Pip has also had numerous paintings auctioned at Christies and Sotheby’s and over twenty limited editions published from his work. He has won many awards including “Best in Show” at the 2000 National Exhibition of Wildlife Art at Liverpool.